The Breitenbush community carefully stewards the land that encompasses the geothermal location. They utilize the geothermal energy, construct buildings that are fitting and unobtrusive, and maintain a system of trails. There are many facets to the educational experience at Breitenbush. Many workshops and classes are provided for learning about/nurturing one’s spirit and body. Signage informs visitors about the unique nature of the geothermal features and the associated geology. Breitenbush is a wonderful location and community. There is nothing more relaxing and rejuvenating then enjoying hot springs in a superb natural area. 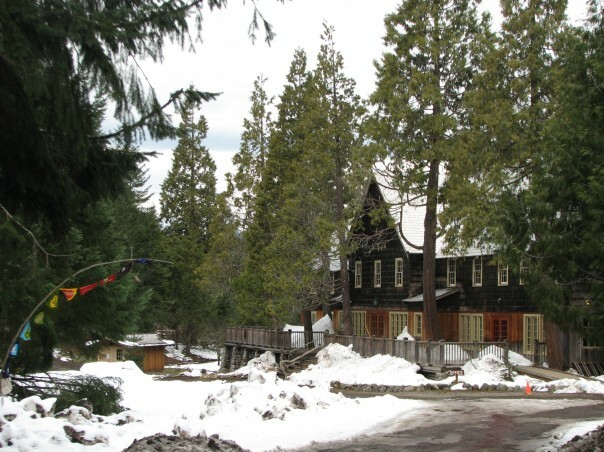 There are many amenities that make Breitenbush a perfect destination including cabins, lodge and a variety of classes.